(NaturalNews) Based on all available reports at this time, it appears that the Japanese government has been severely downplaying the very real radiation threat the Japanese people face in the wake of the 9.1 magnitude earthquake and massive tsunami that occurred last Friday, which has left tens of thousands of people dead and missing, and numerous towns and cities in ruin. But now, a report has surfaced claiming that the Japanese government has been lying to those living close to the Fukushima Daiichi nuclear reactor and pretending that the impending meltdown is not a significant threat. Mayor Katsunobu Sakurai, Mayor of Minamisoma, population 71,000, says that immediately after the earthquake and tsunami, government officials ignored his calls asking for advice on how to handle the situation. Minamisoma, which sits a mere 12 miles downwind from the Fukushima plant, was devastated by the tsunami, and many of its residents are still missing, according to a recent report in the UK Daily Mail. 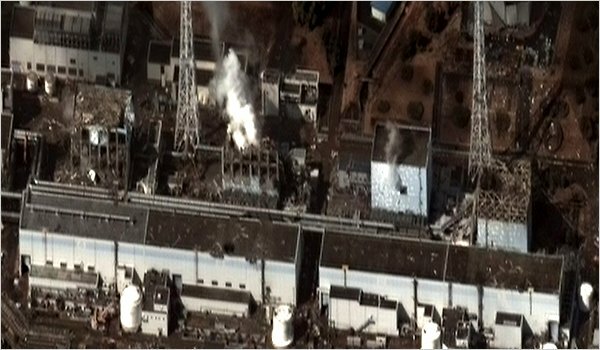 When Sakurai was finally able to get through to officials days after the disaster, they assured him there was nothing to worry about — this despite the fact that the radioactive plumes being released from the Fukushima plant are literally visible with the naked eye when peering northwest out of the Minamisoma. So being a trusting man, Sakurai believed them and consequently did not instruct his people to evacuate. This deliberate act of defiant, but courageous, action is likely to be followed by many others in surrounding towns and cities that are coming to realize that the Japanese government, for whatever reason, is not telling people the whole truth about the reactor and its dangers. Hopefully by the time they do take action, it will not be already be too late for them. It is important to note that the same officials who have been lying to the Japanese people are also telling the world that the situation at the Fukushima Daiichi reactors is under control, and that radiation levels are minimal. But based on their track record of honesty, can we honestly just take their word for it at this point? Even though roughly half of Minamisoma’s 71,000 people are said to have been evacuated as of the evening of March 17, there is no telling whether or not the levels of radiation they have already been exposed to within the past few several days will cause them any immediate or long-term damage. Our heart go out to them as they seek shelter and safety from the radioactive nightmare brewing right before their eyes.